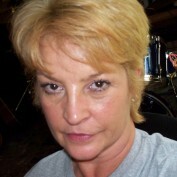 Pamela is a ghost blogger and freelance writer for several websites in the UK and at home in the USA. She enjoys writing fictional stories for young children, informational wildlife articles or environment-based topics, frugal living articles-tips and ideas, and coupons--usage--where--and how to start, and pet articles. Pamela also enjoys writing about fashion, relationships, family and home. Pamela writes SEO rich articles, per instructions of her clients, and hopes to expand her base of clientele with consistent quality and fresh ideas.